I’m just back from an Easter break in Berlin, Dresden and Prague. I will post on each of these cities, starting today with Berlin. This was my first visit to the city for 30 years – last time it was still divided by the wall. I hardly recognised it. We spent most of our time in the old east, staying in a done-up Communist-era apartment very close to the site of the wall, near the Brandenburg Gate. The old east is where most of the government and official buildings were, so it is no surprise that it is now where most of the tourist sites are. It is a bit of a building site, and still a little, well, without the bustle you would expect from such an iconic city. 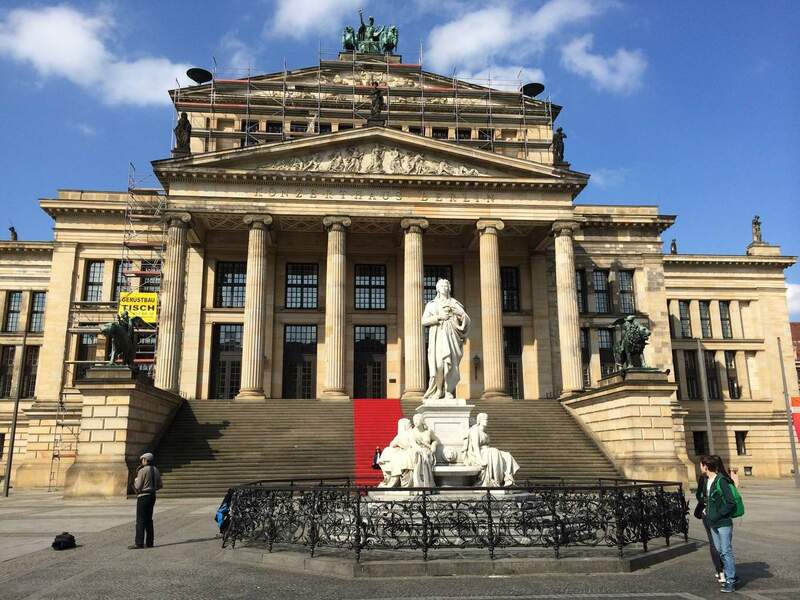 What eastern Berlin does have is a lot of spectacular old buildings in the classical style being restored from shabby and decaying blackened relics, to smart and shiny wonders. This is most spectacular in the Museum Island, where a series of post 1871 edifices in stone veneered brick, and in classical style, are in the process of restoration. It is the site of spectacular exhibits of reconstructed elements of the Babylon gate and Pergamon temple – and, of course, the bust of Nefertiti (which lives up to all the hype – it’s my favourite thing to have come out of ancient Egypt). 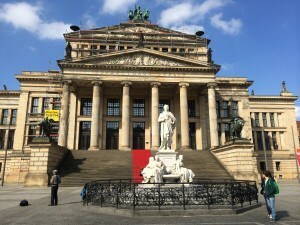 As an amateur writer I am sorely tempted to turn this process into some sort of metaphor, something to do with Germany scrubbing its history clean, restoring things that were a bit fake in the first place, to show off pillaged treasures (not that we Brits can complain on that last score). But what the Germans are doing with their history is something much more interesting than any such trite metaphors can convey. 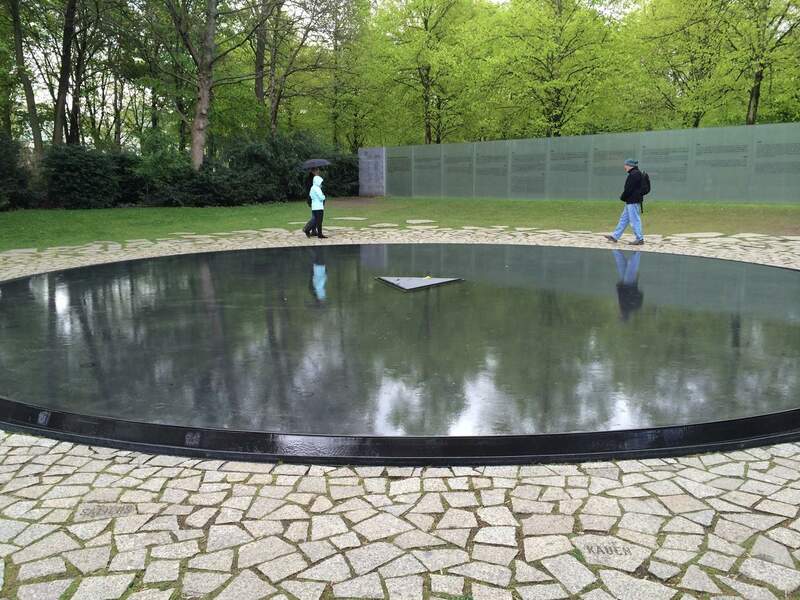 Berlin has a series of museums and monuments that exhibit aspects of German history. We saw the museum of the DDR, about the communist era. There is a very popular museum about the wall. We also went to the Soviet war memorial, which features a series of display boards at the back about the war and war memorials in general (a lot of men in uniforms, one of our party noted, with only one picture of women, grieving over the bodies of the murdered). The tone is relentlessly objective; nothing seemed to be particularly concealed or glossed over. This process of facing up to a country’s history, treating it as a subject of objective examination and analysis, is very striking, and remarkable even in the modern world, though it is one of my major passions. Even in modern Britain, our Education Secretary, Michael Gove, seems to favour the teaching of a sanitised, propaganda version of British history… And as for Japan… or China… or Russia… Germany itself took quite a while to get there. Post war there was a tendency to gloss over awkward aspects, and to treat the country as more victim than perpetrator. But the county’s overwhelming desire, and need, to reconcile with its neighbours, and its own eastern and western zones, made such a stance unsupportable. So they are going for objectivity now. This must be welcomed. I wish we all did this. But I can’t help noticing that this turns history into an object of curiosity, rather than something of meaning and passion. The Soviet war memorial used to be protected by soldiers and barbed wire (Soviet soldiers with British ones to protect them! ), and drew protest marches. Now the soldiers are gone and children play on the old pieces of artillery. A powerful symbol becomes another stop on the tourist itinerary. I suppose this is for the better, but I do wish that history could both have meaning and be treated objectively. I nearly wrote “dispassionately” instead of “objectively” – which sums up the problem rather well. But this isn’t quite fair. 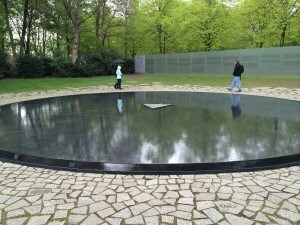 Near the Brandenburg Gate we visited a shrine to the murdered gypsies of the Nazi era; a simple circular pool. We did not have time to visit the memorial to the Jewish Holocaust victims, though we could see it from our apartment. That is a vast collection of stone blocks without words. These silent, wordless memorials are appropriately moving, and stir the deeper sort of thoughts that words cannot. As a permanent part of the centre of Germany’s capital city, they seem to say “We will not allow ourselves to forget”. If that diminishes Germany’s standing in one way, as the guilt is allowed to linger, on balance it strengthens it, by saying that “We are facing up to our history”. It would be nice to have something like this in London to mark our own nation’s crimes. The African slave trade; the Indian famines and massacres; and dare I say the indiscriminate bombing of German civilians. But we are too proud to do this, especially the last. But Germany’s way is surely the path to a better future, and the only way that we can truly mark the modern age as being an advance on what went before.